Air travelers who travel frequently and are accustomed to flying great distances place a high value on the comfort and amenities that airlines offer. In-flight entertainment is incredibly important to all ranges of frequent fliers from the corporate traveller to the families who fly with small children. There is an annual World Airlines Awards ceremony which recognizes airlines that go above and beyond for their customers. For 2012 they named Emirates airline number one in terms of in-flight entertainment. A look at the Emirates’ website quickly reveals why they earned such a distinguishing title. They proudly show off their ice digital widescreen entertainment systems. 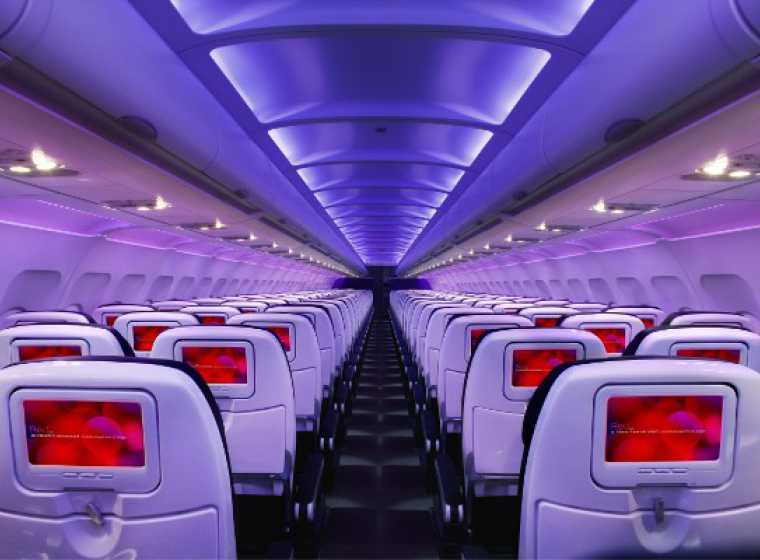 The photo on the website captures a picture of a plane where each passenger has their own screen in the headrest in front of them for them to select personalized entertainment options. There are over 1400 channels, a far cry from the early days of in-flight entertainment where the entire cabin watched the same movie from a few strategically placed screens. Passengers have their choice from television, movies, news, and games, providing entertainment for a range of interests. This makes sense since Emirates is an international destination airline with a central hub in Dubai. Cathay Pacific Airways placed second behind Emirates for their in-flight entertainment options. Also an international airline, Cathay Pacific Airways offers a variety of entertainment options in a multitude of languages to accommodate all of their passengers. Along with Hollywood hits, they also offer many popular Asian films. A Hong Kong based airline, they offer a variety of Asian language choices for their in-flight entertainment. On certain aircrafts used for long flights there are over 100 options of films. They offer an international selection of popular television shows, with more than 500 choices each month, although every option may not be available on every flight. Cathay Pacific Airways continues to improve their entertainment selection by adding new offerings. Currently they have international musical offerings in ten different languages and are in the process of adding the top 100 bestselling albums form the United States. 75 of those albums are already available to passengers. Card, word, strategy, and video games are also available with selections specific to each flight. Having personalized technology along with a variety of updated entertainment selections all go into being at the head of in-flight entertainment. Other airlines do work hard to stay on trend with their own unique offerings. Singapore Airlines allows flyers to check this month’s movie selection with an interactive visual screen on their website. A quick look around shows many new releases in a variety of genres. They continue with just as in depth coverage of their television offerings, going so far as to show which episodes are now available along with a brief summary. Music and games are also available, but what really stick out are the interactive apps that allow for language lessons, city guides, and cultural overviews. Time spent in flight can stimulating, enjoyable, relaxing, personalized, and more with these advanced entertainment options.